Trayvon Newsome, 20, was the fourth and final suspect arrested in the murder of rapper XXXTentacion. A fourth man indicted in the shooting death of South Florida-based rapper XXXTentacion has been arrested. Trayvon Newsome, 20, was taken into custody before 5 p.m. Tuesday after surrendering at his lawyer's office in Fort Lauderdale, according to the Broward Sheriff's Office. Newsome was booked into jail on charges of first-degree murder and robbery with a deadly weapon. 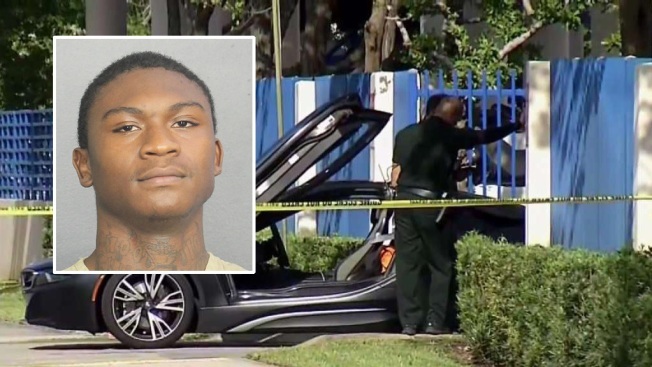 Officials said a struggle ensued on June 18 when two masked gunmen approached the rapper's sports car and XXXTentacion was shot multiple times. The gunmen fled with a Louis Vitton bag containing $50,000. A total of four people have been indicted on first-degree murder and armed robbery charges: Dedrick Williams, 22; Michael Boatwright, 22; Robert Allen, 22, and Newsome.